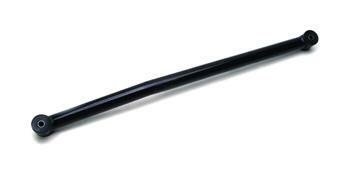 QA1 offers Tubular Panhard Bars for a variety of GM vehicles and Mustangs. Their design resists unwanted flex and twisting, keeping the axle properly located under the chassis for improved cornering and driveability under all conditions. The QA1 Panhard Bar Kit offers a lightweight, highly adjustable alternative for the 2005 to present Mustangs. 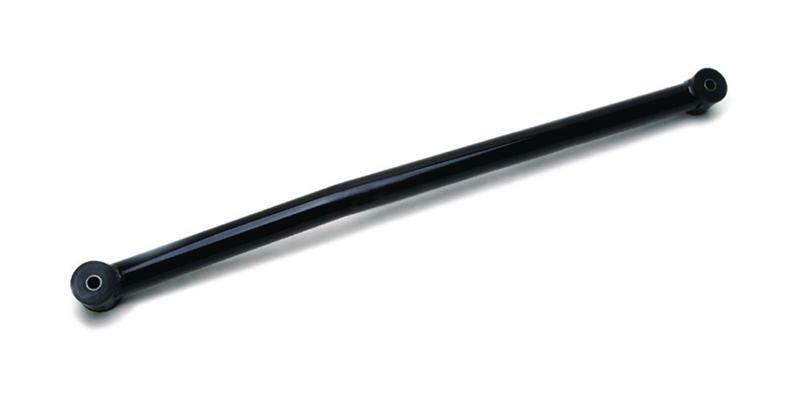 These panhard bars are available in both steel and aluminum, and feature QA1’s premium self-sealing and self-lubricating X (heat treated chromoly steel) or A (aircraft aluminum) series rod ends. Kit includes panhard bar with rod ends and jam nuts. QA1 has Panhard Bars that accommodate a variety of GM vehicles. The improved design resists unwanted flex and twisting, keeping the axle properly located under the chassis for improved cornering and driveability under all conditions. Truck and SUV Panhard Bars allow for maximum rear suspension travel without bushing bind for a superior ride. Panhard Bars include our fluted, greasable, graphite/polyurethane bushings for a long, trouble free life. These Panhard Bars also complement our Lower Trailing Arms.